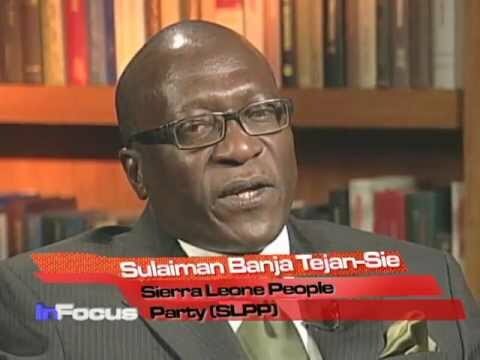 There have been many references – some critical, to the SLPP’s peace and reconciliation meeting, held at the party headquarters last Saturday. Many are wondering whether the peace would hold. And they point to the fact that, with the exception of a handful of members, most of those who attended that meeting, came from among Alie Bangura’s supporters. They also point to a conspicuous absence of many, in fact almost 98 percent of the members of the current Executive Council, who had voted for Chief Somano Kapen in Bo. 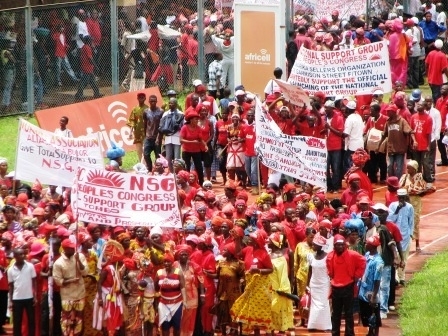 There was also reference to the absence of a majority of the party’s members of parliament. Yet, another grouse was the alleged contemptuous reference to the “so-called grassroots”, as if the latter were a rabid lot, who do not really matter in the politics of the party. Those who persist in that view, may eventually pay a high price if they are aiming at holding high office within the party. 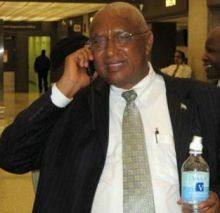 A strong and longstanding party supporter, emphasized that Chief Kapen should have made sure that someone – if such were present from his side, had responded to the calls from the “Bangurites” to let the past be treated as such, and for all to rally round and move the party forward. Without sounding as if I was Dr Humper, I reminded some of the sceptics of Somano Kapen’s statement – among others, that the meeting was the first step in a long journey, and that what we witnessed was the first draft. (Photo: Chairman Kapen). I said and I remain optimistic that, in consultation with Bishop J C Humper and his colleagues, the ‘I’s’ would be dotted and the ‘T’s’ crossed, during the more detailed discussions with the various groups. I left the hall before some of the other speakers took the floor. But someone informed me yesterday that, Alpha Timbo with his usual candour had called attention to the unconstitutionality of Kapen suspending the deputy Chairman and leader and the Publicity Secretary, respectively. He opined that only the national executive council could do that. Readers may recall that in my last column, I had referred to the particular matter as an obstacle to the eventual achievement of peace. It remains my view that Kapen and Banja-Tejansie (Photo) must withdraw their notice of suspension, even before the intervention of Bishop Humper and his colleagues. They should now reach out to Prince Harding and the rest of the executive committee and council members. Another disturbing factor that was highlighted, is the constant reference to a level playing field – an obvious innuendo which could only have been directed at Retired Brigadier Julius Maada Bio. I earnestly hope that such repeated reference is not going to open a new front of “them versus him.” It would be a tragedy. 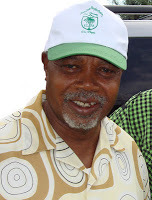 There is a new publication on the street which, rumour has it that it is associated with the erstwhile chairman and leader – John Oponjo Benjamin. (Photo). The newspaper appears to be targeting those members of the party who had previously supported Somano Kapen’s bid for the national chairmanship, although the latter constantly refers to his having run his campaign single handed, which sad to say isn’t true. If one of the very welcome suggestions to emanate from last Saturday’s meeting was to put an end to personal attacks on radio, then every effort must be made to avoid proxy fights in the newspapers. These can only further aggravate the situation. 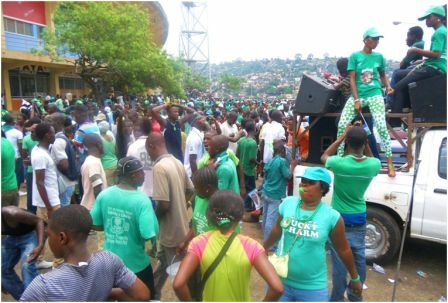 At the same time, those who had made it a past time to verbally – even physically, assault anyone perceived as not being a supporter of their preferred candidate, to cease forthwith, as such uncivilized behaviour is not the SLPP’s way of supporting candidates, or of disagreeing with others. It would create further problems, at a time when we should all be hoping and praying that we are now very close to sustainable peace and harmony within our Torkpoi family. I would also advise the sceptics among our membership to confound our opponents, by seeing the half full, rather than the half empty glass. The need for the minority Parliamentary leader to reach out to her colleagues, even before the Peace Committee meets with them, cannot be overemphasized. Many people, including me, are of the opinion that most of her problems with her colleagues, emanates from her approach that is laced with some arrogance towards them. Like I have said on another occasion, the late honourable Momoh Pujeh was faced with a similar, perhaps more threatening situation. But he was able to diffuse it before it got out of hand. It must be admitted that, for almost ten months now, the performance of the main opposition in Parliament has been lopsided. It’s time to keep the ruling Red Sun on their toes again. AKK reminded us of how late Maada Jusu-Sheriff, with barely a handful of colleagues, kept Stevens’ APC majority dominated Parliament on their toes. 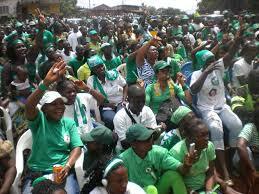 When I look at our SLPP Members of Parliament, I can detect a surfeit of able and very effective debaters. So get on with it honourable Members.